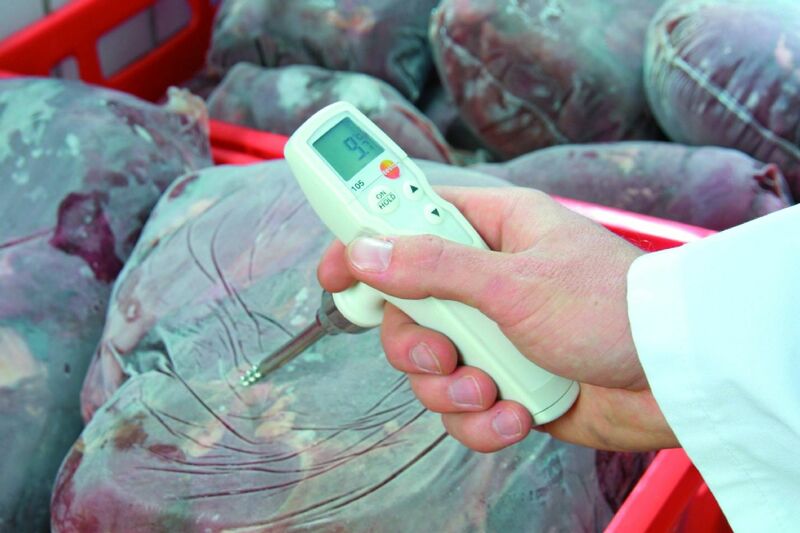 The testo 105 one-hand thermometer with frozen goods measuring tip is ideally suited to the measurement of the core temperature in deep-frozen goods, such as meat. 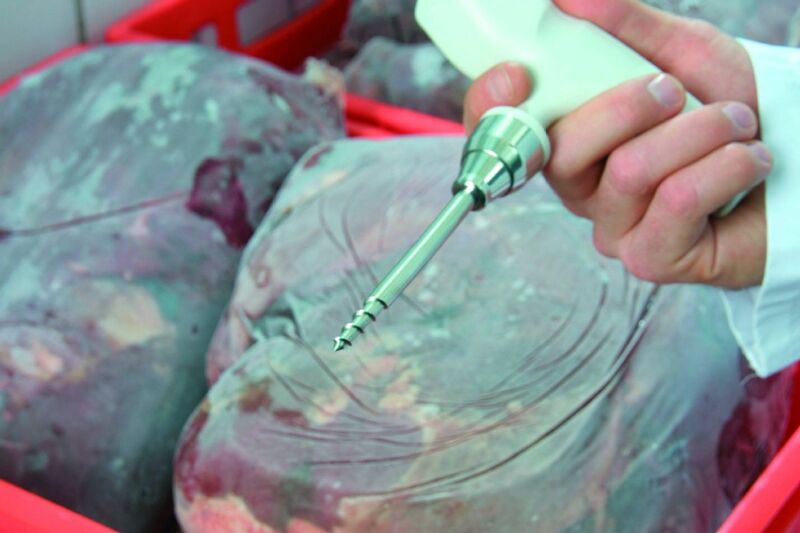 You can order additional measuring tips separately for measurements in semi-solid media (meat, cheese, jellies). The practical one-hand operation, compact size and illuminated display make every day practical work easier. Both an acoustic and an optical alarm reliably warn of any exceeding/undershooting of the freely adjustable limit values. The belt holder and wall bracket ensure safe storage - even on the move. 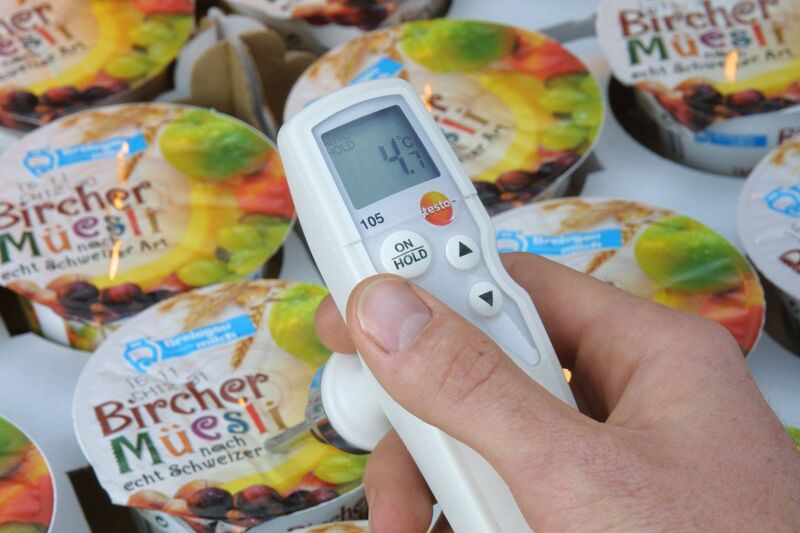 This means the thermometer is always ready to hand. 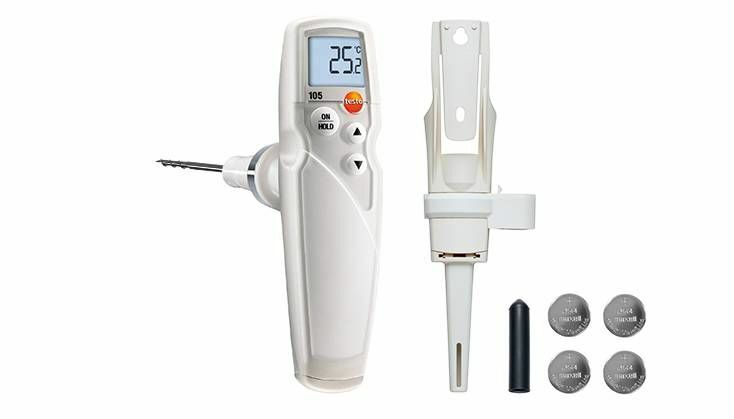 1 x testo 105 one-hand thermometer with frozen goods measuring tip, including belt holder/wall bracket and batteries.